More unnecessary exotic pet bans arise every year. This newly enacted law, H. 3531, is not that bad by itself. 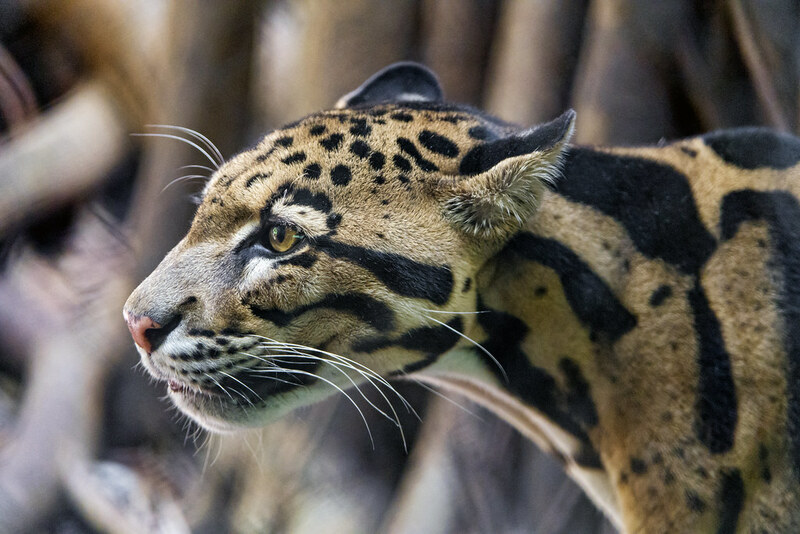 I am unaware of what other animals South Carolina prohibits the private possession of, but I am, for once, pleased to see that this law only regulates big cats, which does not include servals, caracals, Asian leopard cats, ect., bears, and great apes. Particularly interesting is that only great apes, not monkeys, are addressed when I often see them lumped into the same category. The family canidae is surprisingly not present as well. All of these animals are large enough to cause significant injury or death to adult humans. There are no exceptions. The ‘least dangerous’ of the big cat group are cheetahs, snow and clouded leopards, but these are still sizable felines that regularly take down large prey in the wild. Their temperament and specialist hunting and prey preferences are the only factors that make serious attacks uncommon with them, but they should not be owned by ‘just anyone’. All bears can be deadly and should be treated as such. As for great apes, recent legislation probably makes owning one privately today near impossible. Mostly chimps and less often orangutans have been owned as pets in the past; as far as I know gorillas and bonobos haven’t. Chimps are one of the most dangerous ‘exotic pets’ a person can own. I’ll always maintain that anyone that can provide safe and secure care for large, potentially dangerous carnivores and primates should be permitted to, although they should be able to prove this. I don’t expect any state to entertain the idea that animal care ability, not a USDA license, should be the deciding factor. As is typical, such minimally licensed facilities are exempt. There are, unfortunately, many smaller zoos that shouldn’t have these animals and wonderful private owners that should be allowed. A license, one that a private owner can’t get because the USDA doesn’t regulate pets, does not make these animals less dangerous to the public or the owner or protect their welfare, as the Animal Welfare Act enforces only the bare minimum standard of care. Many facilities have several violations but continue to operate. Unfortunately, these laws do not get things exactly right, but the lack of absurdly listed species in this ban make me cautiously optimistic; if there has to be a ban that reaches North Carolina I hope it follows suit. The Humane Society’s dumbness knows no bounds as they list a bite and filthy cage as a reason to ban something, as though the exact same circumstances haven’t occurred with the accepted traditional pets. Sometimes exotic pet owners are their own worst enemy. Alex Komechak is the owner of the popular Youtube channel Camelsandfriends. She regularly uploads videos about her animal collection, as well as videos of her wolfdog with click baity titles such as “My Wolf Intends To KILL: A Patience & Intensity UNRIVALED (by all others? )” and “Wolf wants INSIDE my house during a storm SO... WOULD YOU LET HIM IN?” and “DOBERMAN OR WOLF -- Which one will back down first?”…among many others. The first thing that needs to be said is that Lorne, the animal in question, is not a wolf, he is an upper-mid content wolfdog, as confirmed by many people in the wolfdog community who are familiar with his breeders. Their Facebook page can be found here. Yet her videos constantly are titled ‘Wolf vs.’ ‘Wolf this’ and ‘Wolves that’. She claims her wolfdog is ‘as pure as a wolf can get without taking one from the wild’, which is a falsehood. Komechak makes money from her videos and has asked for and received bountiful donations several times with GoFundMe, despite being a private pet owner, not a charity or animal rescue. She only 'rescues' animals in the same vein as any person who has ever adopted a dog. She also regularly receives donations from an Amazon Wishlist, which even included a large cage that cost hundreds sent to her. Continuing the traffic-baiting trend, one of Komechak’s latest videos is entitled “Girl Survives Wolf Attack - Could YOU remain this calm? (CAUGHT ON CAMERA)”. While there is some aggressive behavior present, the camera has only ‘caught’ the audio; the ‘attack’ is otherwise completely absent. The audio of the ‘attack’ however, does sound pretty severe. Komechak is shown sauntering around her pet while he is gnawing on a meaty bone giving clear signals he does not appreciate her presence. She tosses a small rock toward him. She approaches him and a large jug can be heard possibly being kicked before Lorne is shown for a quick second approaching her. The camera is then shaken and falls as we hear intense growling and Komechak calmly speaking to the animal while he snarls. As the growling continues the video ends abruptly. Who’s to blame for Lorne’s outburst? Carnivores can be food aggressive, and we know Lorne does resource-guard as has been shown in another one of Komechak’s videos where she is attempting to train him to ‘release’ a desired object on command. Lorne was stung by a fire ant and re-directed his aggression at me. He grabbed me by my skull, sunk his teeth into me and dragged me into a corner. He had a good grip on me and I was bleeding profusely and of course in pain. He would have certainly ended my life in a quick second had I not remained calm. It would not have been his fault. It would not have been my fault. It was miscommunication. How cold Komechak even see an ant bite (not sting) the wolfdog? Why would she conclude that this was the cause despite clear evidence that it was her decision to bother the animal while it was eating, a dangerous mistake as confirmed by multiple experienced wolfdog and wolf owners that I’ve consulted with, seen in the video’s comments and in a wolfdog Facebook group? Not only does Komechak say it’s not her fault, not only does she have the audacity to claim this video that depicts bad pet keeping is “educational”, and not only does she clearly and shamelessly fish for views to make money…she also uses it as an opportunity to ego trip. Could you remain this calm? If not - DO NOT GET A WOLF OR WOLFDOG OR INVOLVE YOURSELVES WITH THEM IN ANY WAY. Wolves and wolfdogs will challenge you. Unless you can remain as calm as I do in this video you will be killed or seriously injured. Ask yourself honestly if you can show no fear and stay calm through this attack. 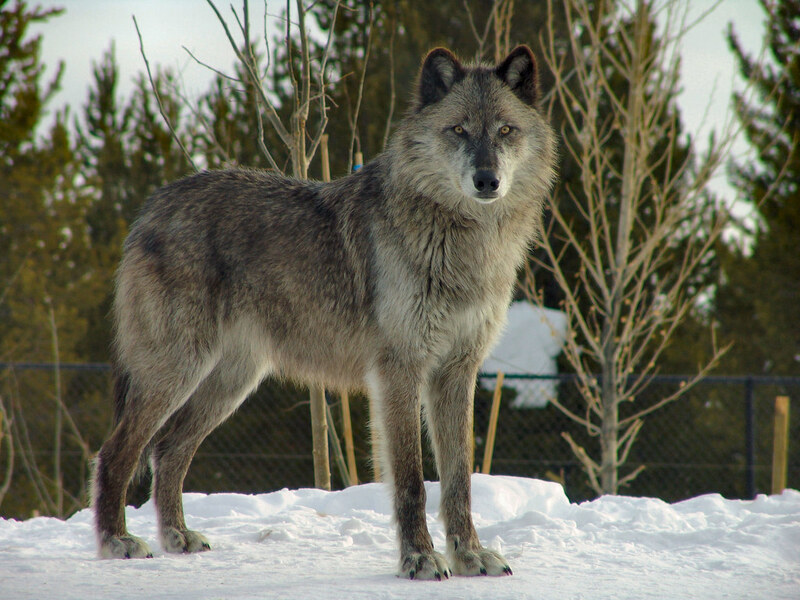 If the answer is no--- then wolves and wolfdogs are not for you. This is reality. This is an educational video. This is not meant to demonize wolves. I have no fear of Lorne and we were playing again by the end of the night-- no hard feelings. This is a wild animal. An apex predator. Komechak wants to direct the viewers’ attention to the fact that she was calm during the attack so she can present herself as a fearless wolf owner with a special ability. In doing this, she suggests that an attack like this is a normal occurrence for an owner of a wolf or wolfdog and that you should be able to handle a situation like this instead of prevent it in the first place. She claims the wolfdog ‘grabbed her by the skull’, a claim I find suspect given that food aggression should not result in such a severe attack, rather an animal would carry out what is called ‘posturing’, which is a scary-looking bluff (this is information from wolf and wolfdog experienced owners). If Komechak is being truthful about the encounter, it reveals the dangerous consequences of misunderstanding animals and trusting your own ego over the advice of professionals. Komechak has many followers who hang on her words and respect her. They view her as a professional, educated, and experienced animal handler. I’ve dealt with many people in the comments who think she is running a legit rescue or owns Lorne as an ‘educational ambassador’. She has zero credentials and does no formal presentations. She’s just a well-liked Youtuber with a large pet collection. 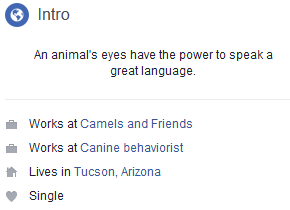 Komechak actually has ‘canine behaviorist’ listed on her Facebook page as an occupation. She went on to explain how she does not delete comments even though she apparently does not have time to read criticism of her animal handling. All ironic considering she uploaded a video entitled “Think You Want a Wolfdog? Abuse & Vanity of the Human Ego”. She is obviously not alluding to herself when speaking of egos. Komechak believes her wolfdog is not a pet. If you think this doesn’t make sense it’s because it doesn’t. Komechak owns Lorne and cares for him, but she has multiple videos stating that you CAN’T own a wolfdog and that they are not pets. She hammers in that only her and perhaps a few special people cannot own, but ‘be the companion of’ a wolf or wolfdog. It’s an example of animal mysticism and romanticization. Human-reared wolves and certainly wolfdogs which are essentially a ‘breed in progress’ are not wild animals, all they need is a caretaker that can take on the challenge of doing research and providing proper care. They need to place their ego aside and take advice from people who’ve owned the animals before. Komechak has owned ostriches, maras, emus, and various livestock, but not wolfdogs. Her ego is dangerous for both herself and people who own or wish to own wolfdogs. Unfair legislation is always lurking around the corner and her ridiculous video serves to provide evidence that wolfdogs are inherently dangerous instead of misunderstood. Komechak needs to admit she made a mistake (as she seems to have done in the comments but the video's description remains unchanged) and retract the BS about the ant bite before it’s too late. P.S. Komechak has also uploaded a video that click baits, again, with a title that incorrectly states that she will explain what happened with the attack. Instead, she rambles on about how humans committed a sin for domesticating dogs and she sounds either under the influence, or mentally unbalanced.